Share the post "Loan Origination System + AccuAccount = Efficiency"
Over the past decade, AccuSystems has had the privilege of helping thousands of bankers achieve success with our AccuAccount imaging and tracking solution. Unlike paper documents and manual ticklers, AccuAccount brings everything together under one roof, which reduces complexity, streamlines compliance, and creates untold efficiency for loan operations. Having assisted with countless AccuAccount implementations, one of the most popular questions that I hear is: “Can you integrate AccuAccount to our loan origination system?”. Let’s dive a little deeper and explore why banks are so interested in LOS integrations, in particular integrations to AccuAccount. There are some amazing LOS platforms on the market today. While we’re not partial to one specific system, we see many commercial lenders using Finastra’s Total Lending loan origination software solution, which includes the Fusion DecisionProTM and Fusion LaserProTM brands. There are also many popular LOS products on the mortgage side, including the Encompass®, ComplianceOne®, and EasyLender® platforms. Regardless of which LOS system your bank uses, one basic truth remains the same: an LOS is an invaluable tool, especially when it comes to accurately and efficiently preparing account and loan documentation. Although many LOS systems offer an eSignature component, some banks have been slow to adopt this technology. Failing to incorporate eSign technology leads to stacks of unnecessary paper documents, a problem that is further compounded with each new customer and / or account. Even if the bank has a dedicated imaging and tracking system, an employee must still manually scan, index, and QC the documents. 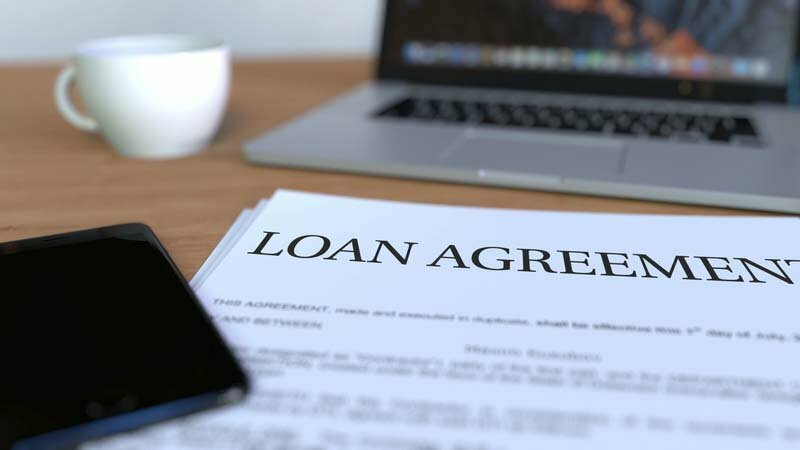 All of this takes time and slows down the lending process. Creating an interface between your LOS and document management platform eliminates manual, time-consuming administrative tasks and frees up capacity for more value-added activities. Use your LOS the same way you always have to generate documents for new loans and accounts. Collect customer eSignatures using your LOS. If you’re not currently using the eSignature part of your LOS, you might want to consider doing so. It will streamline the next step. When the loan is booked to your core, eSigned documents from your LOS automatically sync to the correct location within the customer’s record. If you’re still not ready to accept eSignatures, you’ll need to scan documents back into AccuAccount, but our barcode scanning feature and AccuPrint can expedite this process. So, how does AccuAccount know which customer, loan, and tab to save the documents to? Prior to enabling the sync between your LOS and AccuAccount, we’ll work with you to build a record mapping plan that is customized to your bank’s needs. This upfront investment of time pays big dividends as new loans and accounts are booked to your core, saving hours of manual labor and reducing the potential for human error. Oh, and don’t forget that AccuAccount’s out-of-the-box exception tracking helps you reduce missing and past due documents. Each document type can be set to “required,” which means missing documents will automatically show up in your exception reports, which land in your inbox daily before you sip your first cup of coffee. We’d love to learn more about your Loan Origination System and discuss potential integration opportunities. Click here to chat with us and explore your options. Fusion DecisionPro and Fusion LaserPro are trademarks of Finastra. Encompass is a registered trademark of Ellie Mae, Inc.
ComplianceOne is a registered trademark of Wolters Kluwer Financial Services, Inc. and/or its affiliates. EasyLender is a registered trademark of Fiserv, Inc. and/or its affiliates.